Storm Hector has left hundreds of homes without electricity this morning and some roads impassable due to fallen trees. And it is understood at least one person has collided with a fallen tree in Co Armagh. There are no reports at this stage of any injuries. With gusts of up to 70 miles per hour expected roads have been partially blocked or completely closed due to fallen trees and debris. Currently local roads which have been affected include the Moyallan Road in Gilford, Gilford Road Lurgan (at Gibson’s Hill) and Plantation Rd, Gilford. There are also reports of trampolines blowing in the wind, with one sighting confirmed at Ballymore Rd Tandragee. 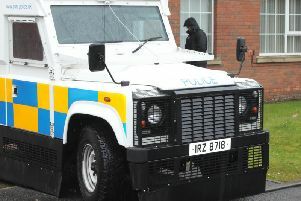 PSNI Banbridge said: “In addition to the Moyallan Road we now have reports of blockages on the Moy Road near Trainors and the Battleford Road. NI Electricity said the storm has caused damage to the electricity network with Craigavon, Newry, Omagh and Campsie the areas most affected. Forecasters expect the storm to be worst until around 9am tomorrow with an Amber Warning in place. Translink has warned that major disruption to services is expected to due to debris. NI GAS- 0800 002 001. NI WATER- 0345 440 088. NI ELECTRICITY- 0345 643 643. To report a blocked road- 0300 200 7891. If there is life or injury at risk, for example a tree down on a bad bend, or power lines danging over a road- call us on 101 or 999 in an emergency.